General Release Notes from the December 28th 2017 update. Implemented the ability to add ICD-10CM diagnosis codes from the patient's chart to paper and electronic prescriptions. 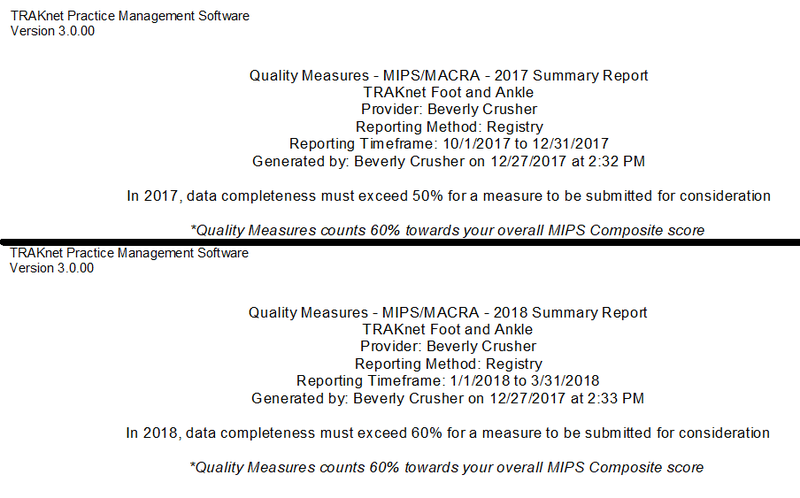 Revised the verbiage of the Quality report header to indicate the Data Completeness requirements for 2017 and 2018. 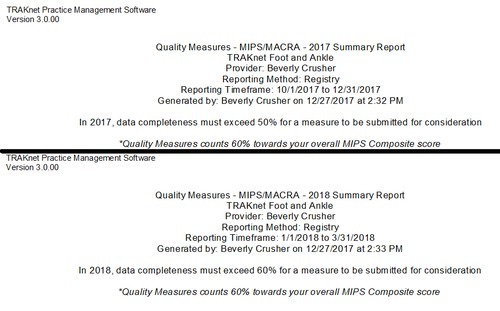 Resolved an issue wherein the Quality Measures - MIPS/MACRA tab in the Invoice would not appear for any encounters with a 2018 date of service. 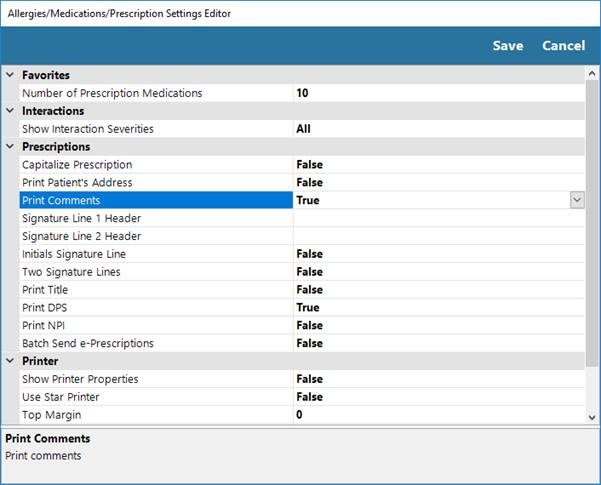 Implemented the ability to add prescription comments to a printed prescription. This can be set under the prescription settings by setting the 'Print Comments' option to 'True'.